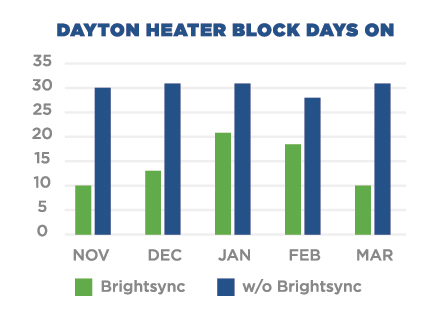 BrightSync - RS Locker Repair & Installation, Inc.
BrightSync’s Intelligent Electrical Control Panel syncs engine block heater activation based on outside temperature, calendar day, start time, duration and zone control utilizing patent pending algorithms. BrightSync’s panel mounts next to any existing electrical fuse panel and controls electrical current to outside outlets. 1. How do I read the temperature readout? 2. What happens if the power goes out in the building? BrightSync has an internal battery which will keep the date and time current for up to 7 days. The date and time can be updated on the PLC. 3. Can I manually turn the “zone circuits” on? 4. What happens if the temperature sensor doesn’t send a signal to the PLC? 5. Does the Electrical Control Panel work outside? The outside enclosure panel is a NEMA-4x fiberglass enclosure which is weather resistant. 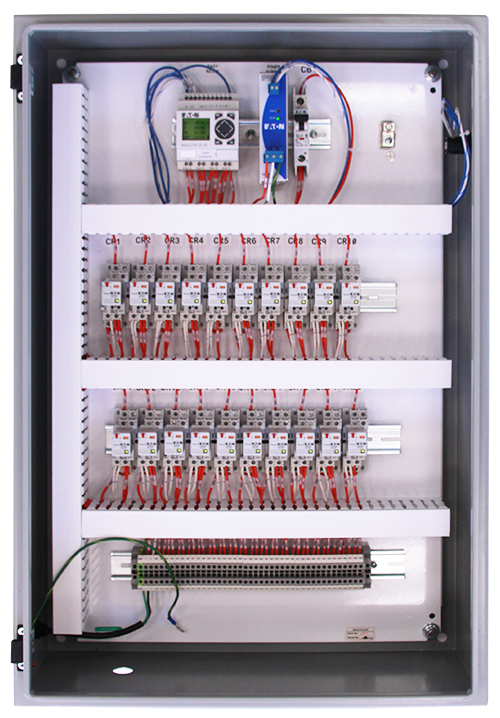 The Programmable Logic Controller (PLC) will operate up to -15 degrees. 6. How are the relays distributed between zones? Relays are evenly distributed between zones. Zones can be customized from the factory order. 7. Why doesn’t the PLC Outside Temperature screen show temperatures below 20? 8. Will I get a power surge or spike when the zones activate? 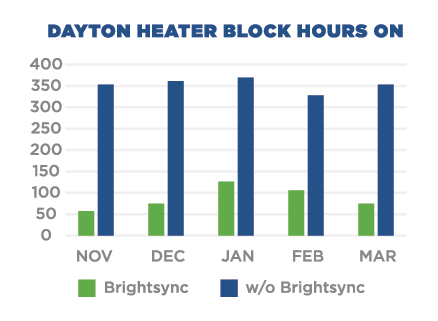 No, BrightSync patent pending technology provide a “soft” start on zone activation. 9. Can I password protect the parameter settings? Yes, this feature is available when you factory order the BrightSync Panel. 10. Can I order lock and key for panel? This option can be place on the factory order for a small upcharge. Daily low temperature weather data collected from National Oceanic Atmospheric Administration. Temperature set point of 32 degrees Fahrenheit. BrightSync activation time 5 hours. Base case “On-time” 12 hours Monday through Friday and 24 hours Saturday-Sunday.